A service of Allen and Spence, PLLC. Why divorce mediation? Why mediate at all? The answer is easy. Divorce mediation offers less stress; less cost and less time. You and your spouse are in control of the outcome, not a judge. It’s confidential. Let’s talk about the dispute resolution continuum. Those are fancy words, but that’s the best way to describe your options to get a resolution of your differences with your spouse. On one end of the continuum is litigation. Everything else us collectively called “alternative dispute resolution” or “ADR.” Let’s start with litigation. Litigation: The sharp end of the Continuum. If you watch legal dramas you know at least something about the litigation end of the continuum. Judges hear cases and find facts and apply the law to make decisions. This process has important implications that you need to be aware of. Courts are backward looking. When a case is presented to a judge, the judge hears about what happened in the past. For example, in a custody case, the judge hears evidence from the parties about who did what, which parent was involved more. Courts impose decisions. When parties go before a judge they are abdicating their decision-making authority to the law. They lose the ability to have fundamental input if the court does not see things the way they do. This is a scary proposition. Litigation might be necessary for some situation when the parties are simply unable to agree on a resolution. 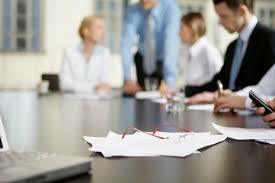 Arbitration is similar to the court process in many ways, but the decision maker is not a judge. An arbitrator can be a lawyer who has expertise in what’s being arbitrated and the parties enter into an agreement to be bound by the arbitrator’s decision. It has the benefit that it can be less expensive than going through the courts for a decision and it gives the parties a result that they don’t have to agree on. each party is entitled to speak with their attorney separately without the mediator present. The goal of mediation is to settle the case and have something in writing that the parties can sign. A successful mediation is when the case settles after the parties identify and discuss the issues that are important to them. So now which would you choose to settle your divorce? Litigation or mediation?